I’ve been talking a lot lately to betrayed spouses (BS) all over the globe about their struggles since their partner’s affair. Not too long ago, after hanging up from a call with a BS who was incredibly lost and in so much pain due to her husband’s total disrespect, misguided blame and emotional abuse resulting from his multiple affairs - I became quite mad. I was mad about the treatment this poor person was receiving from a husband who at one time loved and cared for her. His actions were quite awful and he certainly needed a swift kick in the you-know-where to knock some sense into him. Unfortunately, in this instance, it appears that it is too late no matter what he does, as this particular BS had decided that enough is enough. She was beaten down to a point where she decided to file for divorce. Anyways, later that evening when Linda got home, I told her about the call and we both agreed that there are just some unfaithful spouses who don’t get it, and they never will get it no matter what transpires. Sure, they made a mistake, but when it was discovered they immediately were remorseful, they ended the affair and started to make amends and did whatever it took to help their spouse and marriage heal. Now, the overwhelming percentage of unfaithful spouses that we deal with seem to fall somewhere in the middle. Yes, they too made their share of mistakes, but deep down they are good people and they realize they need to do better and turn things around. It's just that somewhere along the way they get off track, they get lost and they don’t know what to do or what to say. They may waffle back and forth between their fantasies and their spouse. Or perhaps they just want to ‘move on’ and try to sweep the whole episode under a rug so as to save themselves from further guilt and shame. I know I’m leaving out a whole bunch of other possibilities, but I think you get the picture. This is the type of person who we feel we can best help. After all, I was that person several years ago, so I know exactly how it feels and what was going through my thick head at the time. "I just want to thank you for all the amazing guidance and support you share in the wake of an affair and healing. When my husband finally admitted to his affair his instant response was by asking me if I ever thought about what I did to make him do this. I was so distraught that he could even ask me that. The next night I sent him an article you wrote about taking responsibility. The next morning he came to me, sobbing. He stayed up all night, purchased your program and was dying to talk to me. To apologize. To say he was hit in the head with a 2x4 after reading your material. " The Cheater Must Now Become the Healer! From experience and interaction with others in the same boat, we have been able to identify certain behaviors on the part of the cheater that can either lead to success or failure at recovery and healing from an affair. In general, what we have found is that the cheater must now become the healer. They are the key to affair recovery and to their spouse’s healing. We went to work. We researched. We interviewed experts. We surveyed readers. Listen to Doug explain a little of what he experienced. If you are the betrayed spouse, chances are you need the exact same things from your spouse. 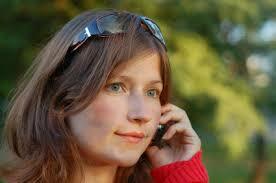 Most unfaithful spouses don't have a clue what to do after they've been caught cheating. Typically, they deny, lie, continue to betray - and want everything to just go away asap. Therefore, we've put together a step-by-step program that is packed full of content that will provide the unfaithful person (and their spouse) some direction and advice on what to do that actually helps in the healing process. Something so you (or your spouse) would stop blindly doing what he/she “thinks” is right and start doing what really works to help heal - and earn back trust. The material draws from our experience, the experiences of other unfaithful and betrayed persons, as well as the professional expertise of a seasoned therapist. Today is our 35th wedding anniversary. Our (first) D-Day was exactly 6 months ago. We have been working hard to get it together, and we want to make our marriage work. One of the biggest stumbling blocks has been that I didn’t think my husband could understand the incredible trauma that this has been for me - learning that he was having an emotional affair. He seemed to be getting tired of my repeated questions, my up and down, which was evidenced by him (for the first time, really) telling me to ‘stop wallowing’ and ‘move on with our lives’. I pointed out that he was a man who had to make choices, and then I passively-aggressively noted that he had made the choice to spend hours on the phone and texting/emailing “her." I guess he got the picture, and read the Cheater’s Guide on Friday, and it really hit home with him. He now knows the pain, trauma, and hell I have been going through is real, is normal, and he now understands the extent of it. Thank you for your honestly, candor and straight-forward communication. It has been a real God-send to me over the past couple of days. He says your book will be his guide, and that he plans to re-read it and work through all the exercises. This is the manual and supporting materials that go deep into the 24-tasks that the unfaithful spouse needs to perform, along with action steps for each task. Oh, and it’s also from a male cheater’s (Doug) point of view, though it will certainly benefit the female cheater as well. The same issues tend to exist whether the cheater is male or female. You will just need to apply a woman’s perspective on things. 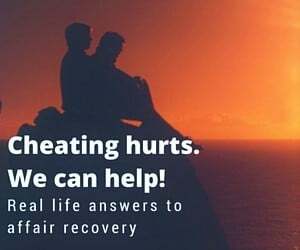 Additionally, it is geared towards the cheater, but it is appropriate for the betrayed spouse as well because she/he can understand the strategies and action steps as they relate to her/his own situation, and create a personal guide or road map towards healing and recovery. This gives you options so that you can read it on your computer, print it out so you can make notes and/or you can listen to it by downloading it to your computer, MP3 device or smart phone. The audio version is broken up into 7 short tracks for easier listening and downloading. 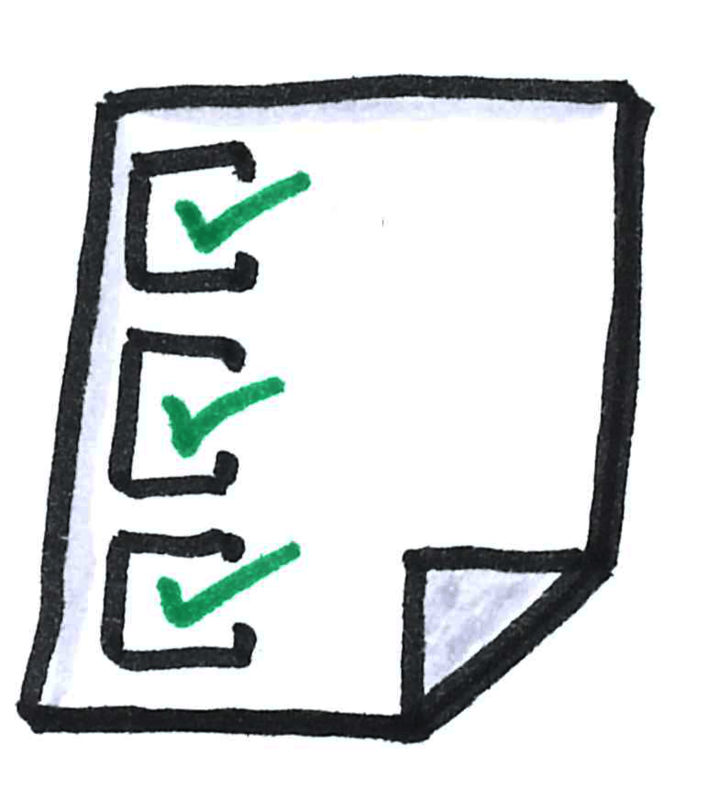 Each of the 24 tasks that are covered include a set of suggested Action Steps to aid in successful accomplishment of the task. The Anger Log: A spreadsheet that the cheater can utilize to track their anger, how they responded to what made them angry and whether or not their anger was justified. The Affair Inventory: A questionnaire for the cheater to complete that will assist them with conducting a thorough analysis of their past character, habits and behavior resulting in a better understanding of why the affair occurred. Gary Shriver, co-author of the book Unfaithful: Hope and Healing After Infidelity talks to us about his experiences at helping his wife heal from his affair while offering his own suggestions and advice. “DJ,” a betrayed spouse, shares her own healing experiences and what her husband has done well – and not so well – in the way of helping her heal. We’re pretty sure of one thing right off the bat… 99.9% of cheaters will not want to read this book – or any other book for that matter (at least initially). That being the case, we felt we had to make it easy for the betrayed to present the information to their spouse if they so desire. So what we have done is separate out each of the 24 “cheater’s tasks” into its own PDF so that the betrayed can very easily print them out and give to their cheating spouse if they desire to do so. That way the cheater won’t feel as though an entire book is being forced down his/her throat. This is a program that was created from a discussion I had with another ex-unfaithful, Tim - who just so happens to now be a counselor specializing in infidelity recovery. It not only sheds some light on what the unfaithful was/is thinking for the benefit of the betrayed spouse, but it will also help the unfaithful person gain some more insight into their own actions and thought processes. There is a 43-page manual along with an Audio version that lasts about 57 minutes. Again, this gives you the flexibility of reading or listening to the discussion at your leisure. How to Confront a Cheating Spouse – A hard-hitting guide written by a betrayed spouse who has experienced confronting his wife after he discovered her affair. He shares his advice and guidelines for confronting the unfaithful spouse in a way that produces desired results. 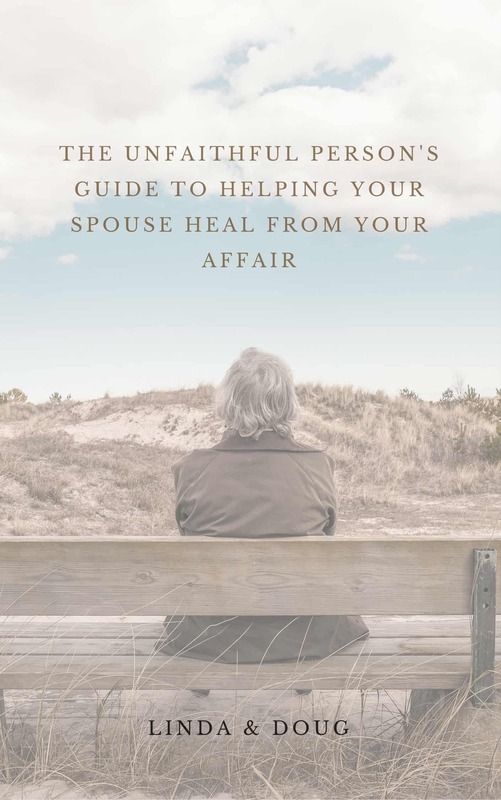 The Most Common Mistakes Made by Both the Unfaithful and the Betrayed Spouses after Infidelity – This guide contains 48 of the myriad of mistakes that we (and many readers) feel we made over the course of our recovery. We've selected 5 appropriate audios and transcripts for the unfaithful spouse to listen and/or read that are from the Affair Recovery Group sessions with Marriage and Family Therapist, Jeff Murrah. Discussion between Linda, Doug and Jeff Murrah on the fantasy aspects of infidelity. 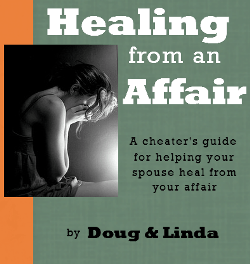 Linda and Doug talk more about overcoming the fantasies inherent in an affair. The three of us cover a variety of cheater/affair partner/ betrayed spouse dynamics during an affair. A discussion about everything related to the "Affair Fog." If the unfaithful person can put the affair permanently behind them, feel as if they can freely express their remorse and shame for their unfaithfulness, and if they can commit to supporting their spouse through their excruciating anguish, then there is an excellent chance of rebuilding from the disaster they’ve wrought to their marriage. 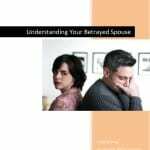 This 14-page, no-nonsense guide goes over many of the do’s and don’ts for the unfaithful spouse after their affair, as well as what they can expect from the betrayed spouse. It is intended to help the unfaithful spouse help their partner, and in turn themselves, through this horrible time and jump-start their journey to recovery. A 45-page booklet containing a collection of ten articles from our site that are a must read for every unfaithful person. The articles are not meant to berate or punish the cheater, but instead are meant to help them gain a better understanding of the betrayal and lead them towards better decision making and providing greater assistance in the healing process. I (Doug) have set aside a few hours each day (not weekends) to mentor you - to talk with you about whatever you want to talk about. You can ask me any questions you want. You can ask for my advice. You can get inside an ex-unfaithful person’s brain. You can just vent. It’s up to you! Now, I’m not a therapist or “guru” and I don’t claim to have all the answers to every situation, but I don’t hold any punches and I’ll certainly give you honest answers and tell you my honest opinion - not just what you think you want to hear! Oftentimes the best teacher is experience itself. I've been where you are now. So learn from my successes and my many mistakes. So Why Invest in This Program? Consider this program to be necessary course work for an unfaithful spouse so they can better understand the true consequences of their affair and what they need to do NOW to have a greater impact on the recovery and healing process. Accept 100% responsibility for the affair. Feel deep remorse for what he or she has done - not just for getting caught. Take concrete actions to earn back the betrayed partner's trust. Have more patience and understanding of the recovery and healing process. Do the work necessary to figure out why they did what they did. Have a greater desire to commit to saving the marriage. I was very moved by the personal touch – hearing a real person, who had made mistakes after affair discovery – the contents spoke to me as a betrayed partner on a more “real” level than any of the affair and psych books have. I cried through reading many parts of the book. You hit the things that are most important to me in healing my marriage in a logical manner that was easy to read and easy to put to use. Funny…my marriage coach was just saying the other day that there needs to be a good guidebook for cheaters. He has not been totally satisfied with any. I’m going to send him a copy of your book. As the title suggests, this program is meant to be a guide for the unfaithful person. …We all know that most of them will never take the initiative to consider it, so it’s more than likely up to the betrayed spouse to take the initiative. That said, if you are the unfaithful person who is considering this, you are to be commended as you are the exception to this rule! The program material is presented with the unfaithful person in mind, but is appropriate for the betrayed spouse as well because she/he can understand the strategies and action steps as they relate to her/his own situation and create a personal guide or road map towards healing and recovery. 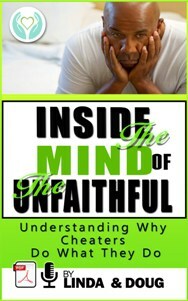 Plus, there are many victims of infidelity who have no idea what it will take to get them through the healing process. That being the case, this program will help that person become more aware of what she/he needs the cheater to do – even though the cheater may not be willing to do these things at this time. …However, if each partner follows the advice in this program and puts forth a strong and honest effort into trying to heal and rebuild the relationship, the chances are quite good. This program is for the person who has realized that they have screwed up royally, are remorseful and want to try to save their marriage and help their spouse heal as effectively and as quickly as possible. …but you can fall back in love and you can create a marriage that is wonderful, fulfilling, fun and actually feel as if you were starting all over again. But it ain’t gonna happen if you just sit back and not do the work! Honestly, if you’re the cheater (perhaps a serial cheater) who just doesn’t “get it” and has no desire to do anything to help heal, then we will truthfully admit to you that you’re wasting your time getting this program. We understand that it’s not easy sometimes to make an investment, even one as important as this one. 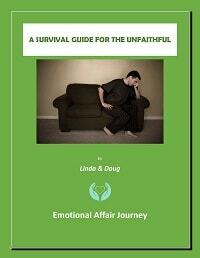 You can try “The Unfaithful Person’s Guide to Helping Your Spouse Heal From Your Affair” risk free. Other programs typically offer a standard 30 or 60-day money back guarantee. However, we go beyond that and offer no time limits. No questions asked. If this program doesn’t help you, simply shoot us an email and we will refund every penny of the purchase price. That means no risk for you! Get access to The Unfaithful Person's Guide to Helping Your Spouse Heal From Your Affair for the small investment of $49. Hassle-free Lifetime money back guarantee. Add the one-hour mentoring session with Doug to the Core Program for an additional layer of support and guidance. Hassle free Lifetime money back guarantee. "My husband had a year long affair (emotional to physical), and with the help of your outstanding Cheater's Guide program things are a lot better and my husband understands more of what I'm going through." "Both myself and my wife found this very helpful. We had a very positive breakthrough. I got it, thanks to talking with Doug, the audios, the introspection guide, all of it. I was stuck and realized I was the stumbling block for both if us. Now onward and upward from here. Don't know the future yet right now, but healing can proceed...Man, have my eyes and heart been opened!